Celebrate independence today, however you choose. Happy 4th of July! 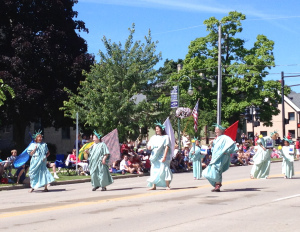 It is my privilege to attend an annual 4th of July parade that defines what small town celebrations are all about. 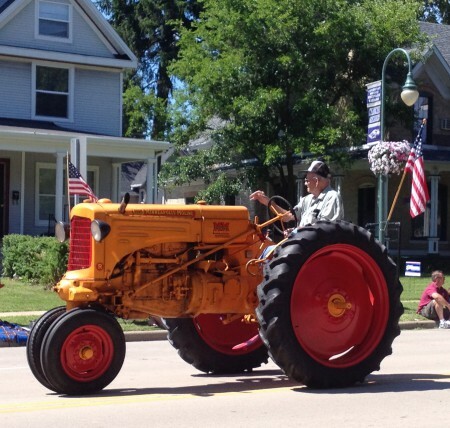 Each year, we anticipate representatives from all modes of transportation – tractor, truck, car, horse. We cheer loudly for the bands and the veterans. We vie for the free water and hotdogs, and the kids risk life and limb to retrieve candy from the street. I love this parade. Its main asset is that it changes little from year to year, and let me tell you, there is much comfort in predictability. 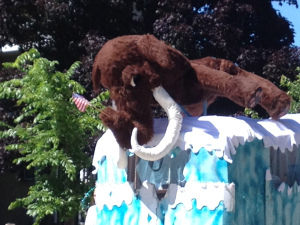 The mammoth is looking a little warm. He probably wasn’t meant for this weather. There is a lot of liberty going on here. 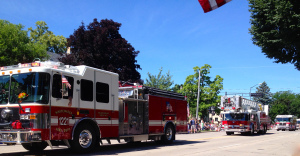 All the emergency vehicles are in the parade, so don’t light the barbecue until it’s over.